Looking for a deal on an Apple Watch? 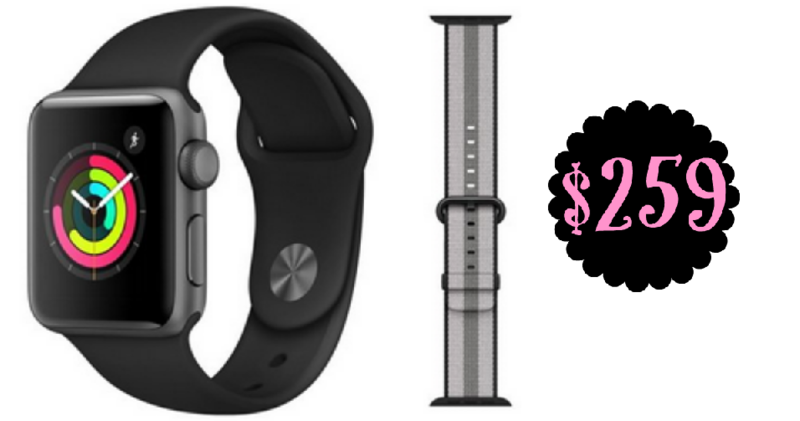 Head to Walmart to get the Series 3 Apple Watch 42mm + Extra Band for $289 or the Apple Watch GPS 38mm + Extra Band for $259. These are the lowest prices we have seen! With the Apple Watch, you can measure your workouts, from running and cycling to high-intensity interval training. Track and share your daily activity, and get the motivation you need to hit your goals. It’s a great gift idea too! !